Bahrain, t3ae 25th June 1933. 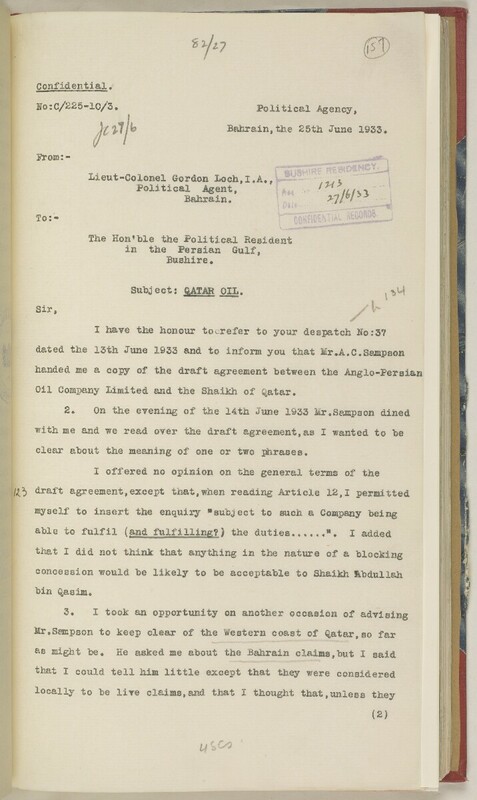 Oil Company Limited and the Shaikh of Qatar. clear about the meaning of one or two phrases.